One of the reasons I enjoy teaching is that I so often come out of a class with something new to think about. A few nights ago I had my students ponder the fact that Aristotle says animals can’t be happy. Why does he say it? Was he just extremely prejudiced against animals? “Happiness” translates the Greek word “eudaimonia,” but not very well. Eudaimonia is the ultimate goal of all human activity, what we live for. And that, essentially, is “the active life of reason” (says Aristotle). 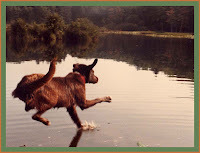 Dogs don’t live “the active life of reason,” so they don’t have eudaimonia, so (in translation) they can’t be happy. That doesn’t sound so strange. But then, if they can’t be happy, in Aristotle’s high-flown sense, can’t they at least enjoy their lives? Or perhaps just flourish in their own particular way? It seems as if, just as it’s an excellent question what makes a person’s life go well or badly, there’s also a question what makes an animal’s life go well or badly. And Aristotle never directly or thoroughly addresses it (as far as I know). It’s natural to suspect that he doesn’t because the subject of animals was beneath him. The problem with that interpretation is that he actually wrote lots and lots about animals. In fact, his works on animal life are more voluminous than his more famous works on metaphysics, logic, and ethics. A student in my class made the very useful observation that Aristotle kicks off the whole subject of the human good with the idea that the good is our end or aim. Clarifying what it is is worthwhile, he says, because it can make us better “archers,” giving us a target to aim for. It’s really important to have a concept of what makes an animal’s life go well, because we humans have massive control over animal lives. Should you keep your cat inside or let him run wild (and risk an early death)? Is it wrong to declaw him? Is it wrong to keep birds in cages and dogs in crates? Are we harming veal calves, laying hens, and pregnant sows by giving them no space to move? The good of animals is something that animals don’t (or possibly don't) consciously aim for themselves, but it’s something we could aim for, if we just had a clear idea what it is. It sounds mildly silly, but we need a good account of “the good life” for animals. Also, as I recall one of the indicators that zookeepers used to use was whether the animal would breed. If it was too unhappy, it wouldn't. I think I got this from Gerald Durrell; it sounds it a bit simplistic. But I will research the modern version, at some point. I also wonder whether Aristotle might have thought that some people would never be able to live a good life; I don't mean mentally disabled people, I mean people otherwise disadvantaged, say slaves. Is there any evidence for or against this hypothesis (I know very little about Aristotle's philosophy)? Was he mainly addressing himself to the young of the elite, like Alexander? Links are good. Thank you...I haven't seen that, and will have a look! I was at the zoo over the weekend and had an interesting chat with the guy in charge of the naked mole rats. He said the queen hadn't reproduced for a long time possibly because there's too much noise from the visitors. Does that mean nobody in the colony is living well? I'll give this a "hmm"...It certainly seems like a negative. Aristotle does say some people never live a good life. Some people just can't live the life of reason fully, or even at all. The best they can do is to be the slaves of people who can. That way, they can be under the governance of reason, even though they aren't using it themselves. Not very nice, huh? Bottom line is that Aristotle doesn't have different ideas of the good life tailored to different people's capacities, and maybe he should. But it seems even more clear you'd have to have different ideas of the good life for different species. And yet Aristotle is so interesting... and not even close to being the most anti-animal philosopher there is. Yes.....I was wondering not so much about people who (Ariistotle thinks) aren't clever enough, but people who are born into such marginal lives into a material sense that however virtuous they are, they couldn't have a good life (an eudaimonic life) because they are too hungry/cold/ill/poor. In other words, I was wondering if Aristotle just ruled out animals and a whole load of people because he thought their lives were unavoidably nasty. Yes, he thinks there are people who have such marginal lives, materially, that they're never going to have a good life, no matter how much reason they have. All the things you mention could be barriers--being hungry, cold, ill, poor. Reason helps, but doesn't conquer all. I don't think animals get ruled out of access to happiness because of all the nastiness, though it's a factor. Aristotle holds out more promise for tame animals than wild animals probably because there's less nastiness in their lives. But the most pampered dog in the world still isn't going to have eudaimonia. He can't live "the active life of reason." I looked at the book you recommnded--looks like a "must read." Animals can be happy. Happiness doesn't need a goal. Heck, I can be very happy for no particular reason at all: simply getting up and enjoying the sunshine is more than ample reason! My dog was happy to see me when I went back to England: he leaped into my arms - and this was a dog that doesn't jump. Aristotle's musings were probably founded on the conditions of the animals around him. They were treated miserably, and who's going to be happy in those circumstances? Animals are more than we think. We're animals, after all. We just have the power of language.